Fall arrest systems arrest the fall of a worker once it has already occurred. In the hierarchy of control, fall arrest is the least favourable as it does not prevent the worker from falling and can still result in an injury. However, fall arrest systems should still be used if other means are not practicable. 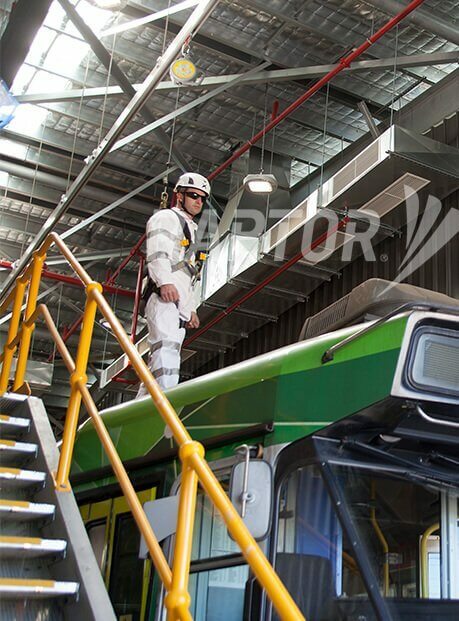 As industry leaders in fall arrest, Sayfa offer customised fall arrest systems to worksites of all descriptions. Some of the fall arrest products on offer include safety harnesses, anchors, and rigid rails, which provide workers with maximum freedom of movement while also offering protection in the event of a fall. Of course, prevention is always better than cure. In addition to using fall arrest harnesses, anchors and other fall arrest equipment at your worksite, Sayfa also recommend that preventative measures should be taken. We therefore offer risk assessments and tailored fall prevention solutions, going above and beyond the minimum Australian Standards in all the work we do. For quality fall arrest systems, Melbourne-based Sayfa are the team to trust. Are all of your workers competently trained?